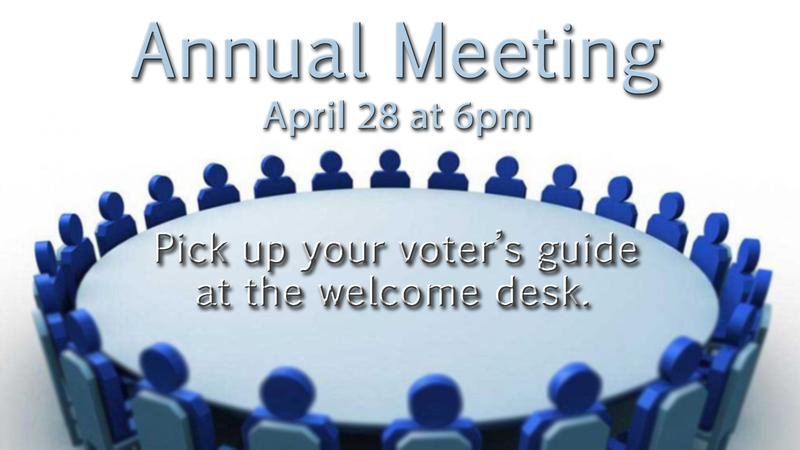 The annual meeting will take place after a slightly abbreviated evening service on April 28 at 6:00 pm. The annual election and approval of the new fiscal year budget will take place. “Get to Know Your Candidates” booklets are available at the Welcome Desk.